While the national somatic cell count average in bulk milk has improved, as we move from summer into autumn, milk quality testing laboratory NML has recorded an increase in both bactoscan and thermoduric results. “A fall in cell counts and an increase in bactoscan results follows a seasonal trend,” says NML’s Ben Bartlett. The NML average SCC for bulk milk samples dropped by 30,000 cells/ml from August to October, when the average was 165,000 cells/ml. Bactoscans increased from 25 in August to 30 in October. 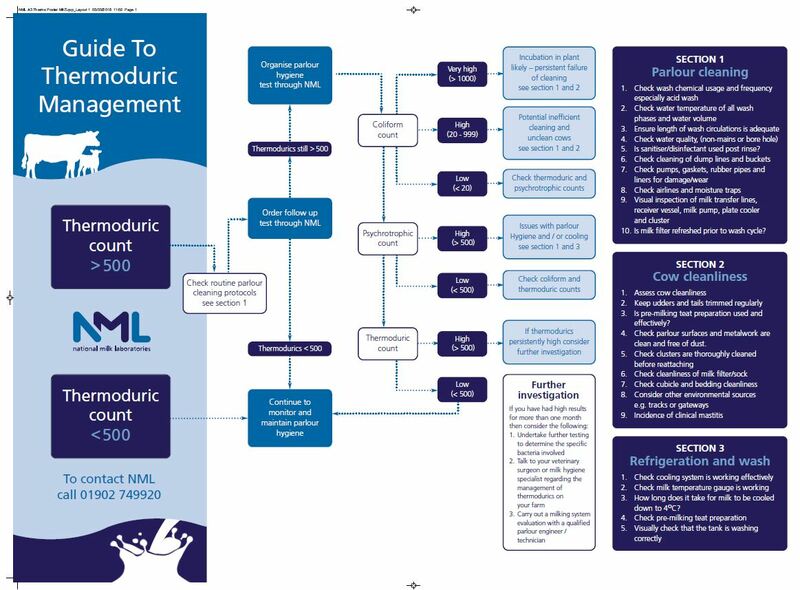 NML is also seeing elevated thermoduric counts. “These are bacteria that can survive pasteurisation and can, therefore, affect product quality and shelf life,” says Mr Bartlett. 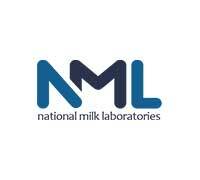 NML offers a parlour hygiene test costing £25. It uses a standard bulk milk sample which makes the procedure very straight-forward for producers. “This test is available to all producers and it can help to verify whether the issue is caused by faecal contamination or a build- up of deposits in the parlour. “Test results are supported with guidance notes to help ensure that attention is placed in the most relevant areas,” he adds. The 2018 HerdWise Best Practice Award for Johne’s Control has been presented to James Smith, herdsman for TWF Hawking, Oldfield Farm near Chippenham with runner up is Laura Elliott from Tedion Farm, Lawrenny, in Pembrokeshire. The awards were presented at the NMR open day at Longnor, Shropshire by host farmer and winner of the 2017 award Tim Downes and award judge Karen Bond. Oldfield Farm, that has a 240-cow Holstein Friesian herd in an organic system, was presented with £500 of Johne’s testing vouchers, a silver salver and luxury hamper. The herd’s veterinary practice George Vets from Malmesbury, under the guidance of vet Ian Cardiff, also received a trophy to recognise its contribution to the herd’s Johne’s control programme. Runner up, Laura Elliott, runs a 270 Friesian and Jersey grazing based and spring calving herd. She received £250 of HerdWise vouchers. Certificates were awarded to two further finalists –Mark Knight from New Spittles Farm, near Yeovil, Somerset, and Andrew Hall from Hale Hall Farm, near Preston in Lancashire. Now in its fourth year, the award is open to all 1700 herds using the CHeCS-accredited quarterly milk screening service HerdWise. Judges, Lyndon Edwards and NMR vet Karen Bond, look for producers who are working with their vet and using risk assessment and screening services to develop a control plan specific to their herd. “But equally importantly is that we look for herds demonstrating best practice in Johne’s disease control on their farm, with the whole team engaged in planned protocols. And we look for evidence that sound progress is being made,” says Mrs Bond. Working closely with the Johne’s Action Group, she highlights the group’s target of 95% of herds having a signed declaration by their vet confirming that a robust Johne’s control plan is in place on the farm by October 2018.